I love Thanksgiving for three reasons. First, it's one day that a good chunk of the USA acknowledges and prays to God (aside from Easter and Christmas). Second, it's the one time that family and friends really try to put away junk and be together. And third, of course, there's the food. Last Thanksgiving we were blessed to share our weekend with Jen's sister and her friend. Jen decided to express her creativity in gold. So out came the tablecloth, which got painted with gold spots, then the gold stemware, the candles. I may cook well but I don't do tables. Thankfully, the table came out nicely. For my end, the menu. OK, maybe this was a bit much for four but hey, it's Thanksgiving. 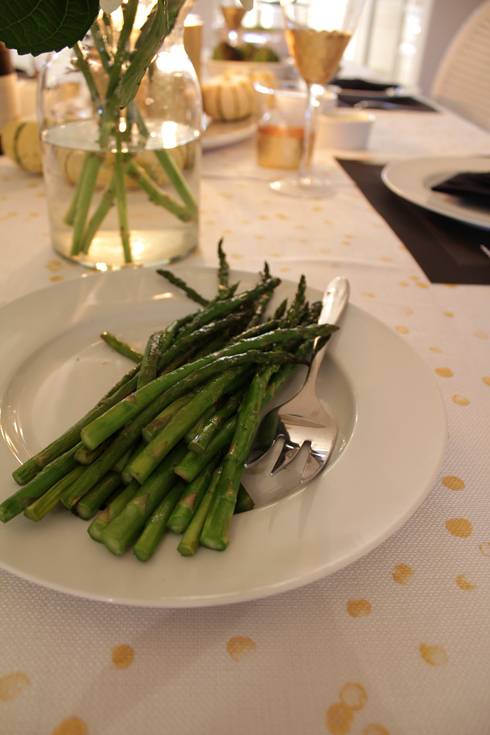 A little extra not on the menu ... asparagus. 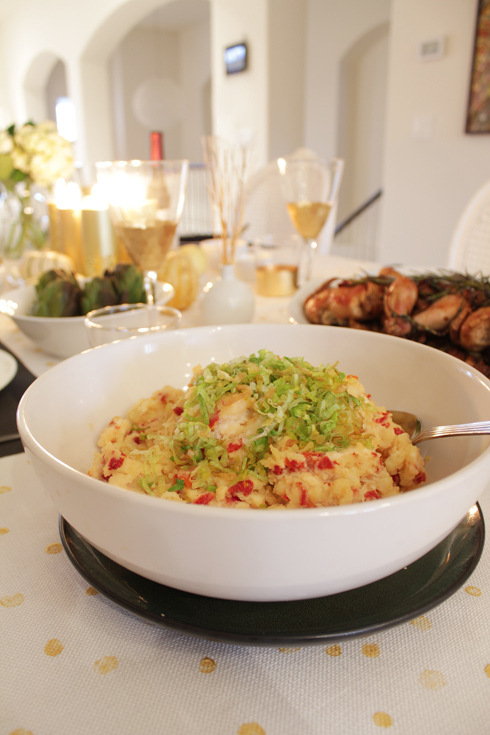 Potato mash with sundried tomatos and fried leeks. 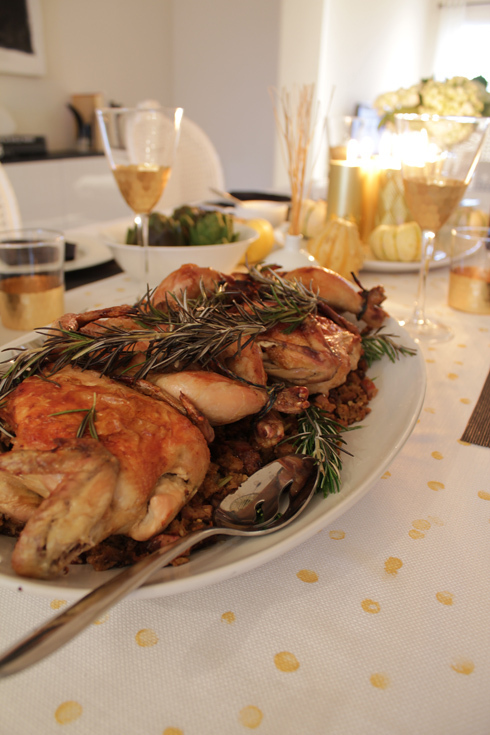 Cornish game hens with rosemary-raisin bread stuffing (will post recipe soon). 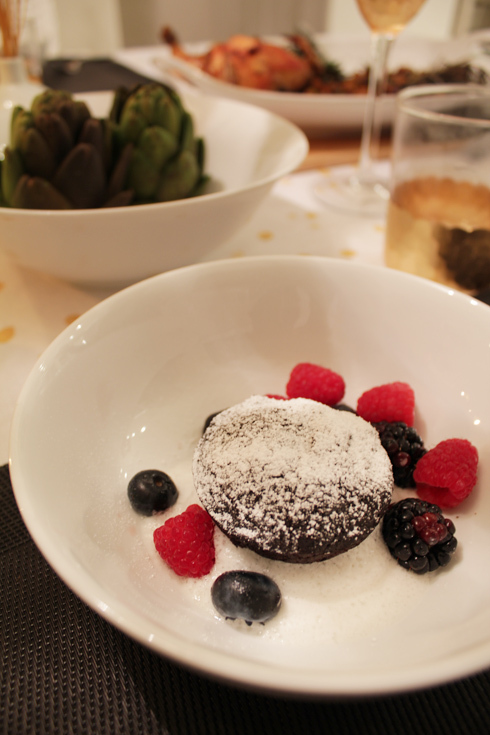 Flourless chocolate cakettes with berries. 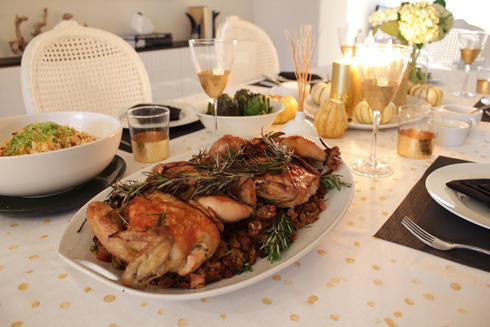 I remember reading about that Thanksgiving and thinking it looked so yummy and pretty! I really love this blog- so glad you started it!